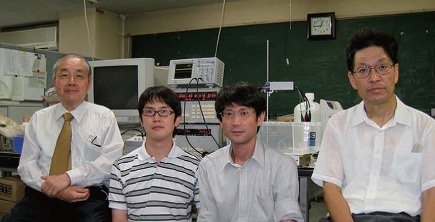 Thanks to the gracious endowment by Hinode Co., Ltd., this program was created in the Faculty of Engineering Department of Systems Integration, under Specialization in Solid State Material and Engineering for a planned duration of three years starting March 1, 2011. 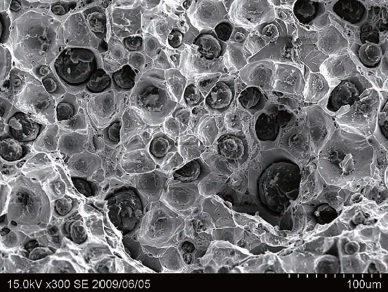 Currently, basic research is being conducted – mostly in College Engineering Building Room 227 – under the leadership of two invited faculty members, Visiting Professor Shinohara and Visiting Associate Professor Miyata, and one YNU Professor Emeritus Asakura, in order to improve the corrosion-resistance properties of cast iron and to dramatically increase the strength and toughness of same as a structural material. The program has accepted two students in the doctoral course now, who are being trained in academic pursuit and research from the electrochemical and metallographical perspectives in cooperation with YNU teaching staff. In addition, in March of 2011, a symposium entitled “The Hi-Reliability Material and Issues Surrounding It” was held in commemoration of the establishment of the program. 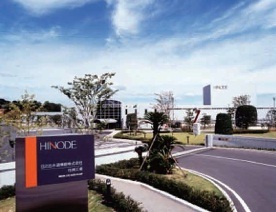 Benefactor of the program, Hinode Co., Ltd.